Guidelines for publishers are not new in the industry. Ingram, the largest wholesaler in the country, routinely makes decisions about which publishers it will continue to service and stock in its warehouses. *Ingram* decides who’s big enough, who’s selling enough books per title, how many titles signal a serious player, whose business terms they like, etc. And believe me, when the word goes out that Ingram is raising the bar again, small presses worry about their sales, their marketing efforts, etc. For a while it seemed like Ingram was purging publishers every few months. Qualifying for services and inclusion in business networks is a fact of life in this world. Ingram does not consider the authors when making a decision to drop a publisher from its vendor pool. The publishing industry is a business. Does the publisher have a current romance title/program?Does the publisher require any investment by the author?Does the publisher distribute on a national basis?In sufficient quantity to generate nominal income and build an audience for the *career-focused* author? These are reasonable questions of great interest to our members. RWA’s recognized publisher policy offers multiple methods of documenting each part of the recognition criteria. As a previous RWA board member and business person, I helped created the list of documentation that would satisfy RWA’s publisher recognition policy. Is it difficult to pull the necessary paperwork? No. Remember that I’m a small business consultant and have been for 20 years. I know business operation. Ingram’s I-Page, their web-based inventory, purchasing & ordering system, allows Publishers to print a record of a book’s total orders for the current year and previous year. That’s pretty simple–one page totaling multiple orders, all neatly arranged in a little Ingram table from Ingram’s website.That info is free to the publisher and takes about a minute to gather, including logging into Ingram. Not every publisher will sell heavy through Ingram or B&T but there are still methods of gathering information that are fairly easy. Last time I checked, the author was able to provide documentation in the form of royalty statements and copies of cancelled royalty checks to help nail down the sales figures. I think that’s in conjunction with printing invoices to confirm actual stock existed, etc. Believe me, there are choices available to the publisher who would like to become RWA recognized. 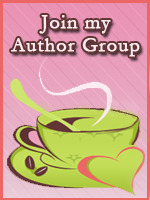 RWA’s concern is to advance the professional interests of CAREER-FOCUSED ROMANCE writers. Maintaining the RWA Publisher Recognition Program provides answers to important business questions that individual career-focused authors would not be able to obtain. Think of Publisher Recognition as the “USDA inspected” stamp. Not every publisher cares about applying for RWA recognition. That says nothing about their legitimacy. It simply means that the individual author must look for other ways to evaluate the publisher’s performance because RWA does not have the information. I can drag out the historical ChapLink posts regarding publisher recognition if we have new presidents who haven’t been down that road and need some backstory. Holler if you’d like to see those loooong posts from me. A RITA-eligible publisher is defined as a non-subsidy, non-vanity publisher that has released books on a regular basis via national distribution for a minimum of one year and has sold a minimum of 1,500 hardcover/trade paperback copies or 5,000 copies of any other format of a single fiction book or a novella or collection of novellas in book form. Does the publisher have a current romance title/program? Um, I don’t see any mention of that here. Anyone? Does the publisher require any investment by the author? …defined as non-subsidy, non-vanity… Okay, Check! Does the publisher distribute on a national basis? via national distribution… Okay, Check! In sufficient quantity to generate nominal income and build an audience for the *career-focused* author? 1,500 hardcover/trade paperback copies or 5,000 copies of any other format… (Basically, that means mass mkt paperback or e-book, right?) I have no way of knowing if these numbers generate nominal income and build an audience for the *career-focused* author or not, but benefit of doubt and all that…. Okay, Check! These are reasonable questions of great interest to our members. Agreed and agreed. Kudos to Ms. Dixon for points well made. Interesting that the romance requirement was left off, but lets examine those figures for copies sold again. For a publisher who sells hardcover/trade print books in brick-and-mortar stores with national distribution and in an industry where holding a book in your hands is the preferred method: a mere 1500 copies. Let’s explore further: Say I sell a book to Harlequin/Silhouette and I sell 5000 copies. Let’s say it’s a Silhouette Desire. The book sells for $4.50 USD and I’ve gotten a $4,000 advance and am getting the standard 6% (using figures from the latest Show Me The Money report). I’ve just made $1350 against my 4K advance. Think H/S will buy another book from me? Somehow I doubt it, but hey, I’m a RITA eligible published author now. I’m legit. Just for the sake of fairness, let’s examine trade size numbers, using MIRA’s info as a guideline (again, from the above-mentioned report). I sell 1500 copies of a trade paperback book, received an advance of $15,000 (the min listed) and at 8% on a $12.95 book, made a whopping $1554 against my advance. Again – the publisher is considered RWA recognized, I’m legitimately published, but will I’ll get another contract with MIRA, keep my agent and sell again? Now let’s say I sell a novella to an e-publisher with no advance, but royalties are in the 35% range. I sell 4500 copies, and at $3.69/a download, make approx. $5811. I’ve sold a few less books, made more money–quite a bit more than the 4K advance from H/S , but to RWA, I’m still not a published writer, and apparently not building a decent readership (according to their guidelines) even though 4500 people have bought and read my novella. At first I thought, well, e-books have the potential to reach the world so their potential numbers would be bigger, but lets be realistic, how many people–in Zimbabwe, Istanbul, China or even parts of Europe where English is a second language–will actually buy an e-book to read in English? Maybe more than I think, but even if I were fluent in French, say, I’m not sure I’d choose to read in the language. Too slow. And lots of print books are reprinted in other languages and can boast sales around the world, too. Are there factors I’m missing because I’m pre-published and don’t have insider info? Doesn’t 1500 people buying and reading a book = 1500 readers regardless of the format it’s read in? Someone, please, explain to me how these requirement numbers make sense ’cause I’m not seeing it. This entry was posted in Carol Burnside, Everyday blather, Rants and Opinions and tagged Debra Dixon, publisher guidelines, the business of writing. Bookmark the permalink.